Industry leading forms cutters, with a focus on quality, reliability and flexibility. 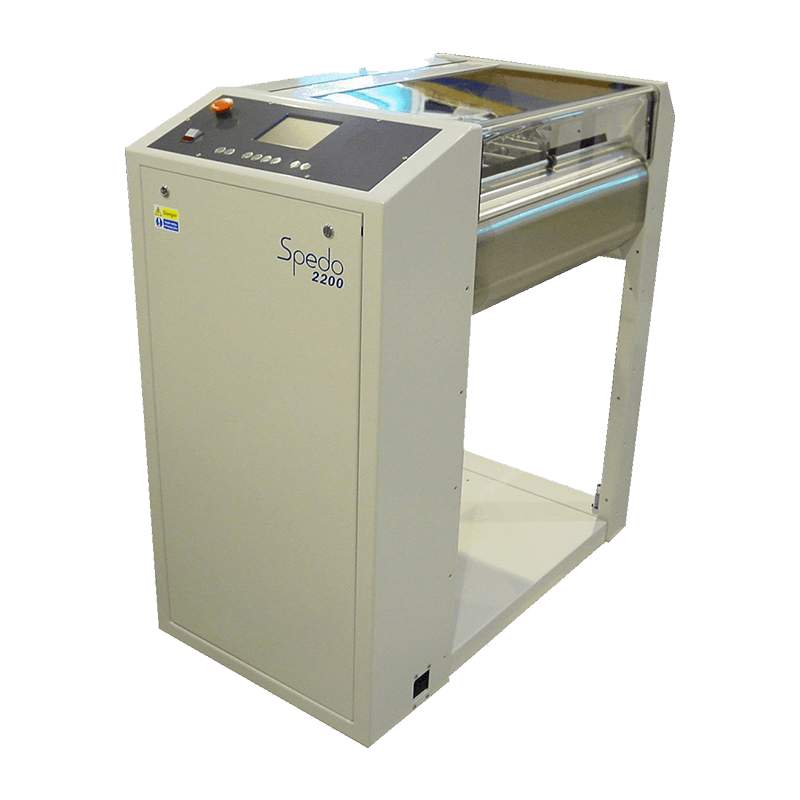 The new 2200 Forms Cutter offers a simple finishing solution whilst maintaining Spedo’s well proven quality, reliability and flexibility. 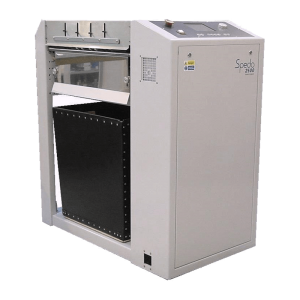 The modular design of the entry level Spedo 2200 allows each machine to be tailored to suit each application. 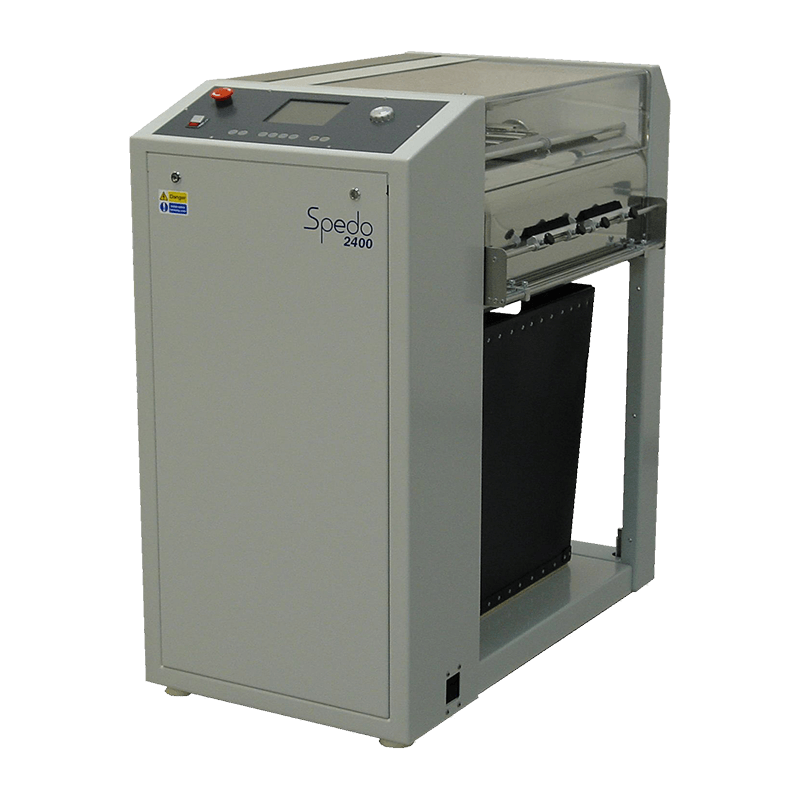 Running at speeds of up-to 90m/min (300ft/min) the Spedo 2200 forms cutter is the perfect solution to offline or near line finishing applications. 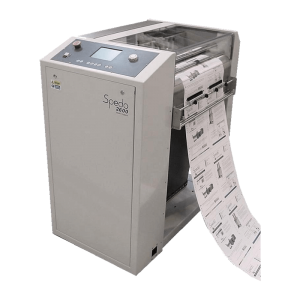 The NEW SPEDO 2400 FORMS CUTTER offers more! An intuitive touch screen operator panel powered by E-CORE, includes on-screen parts catalogue and gives total control over all aspects of the machines functionality. Exact speed settings, to a tolerance of one foot per minute for printer interface. Over lifetime total counter and language interpretation. A NEW infeed system improves cut accuracy and web control. Easier waste removal when running on-line or in-system. The SPEDO 2500 High Speed Forms Cutter allows the user to process continuous forms at up to 125 A4 forms/minute (approximately 400ft/min). 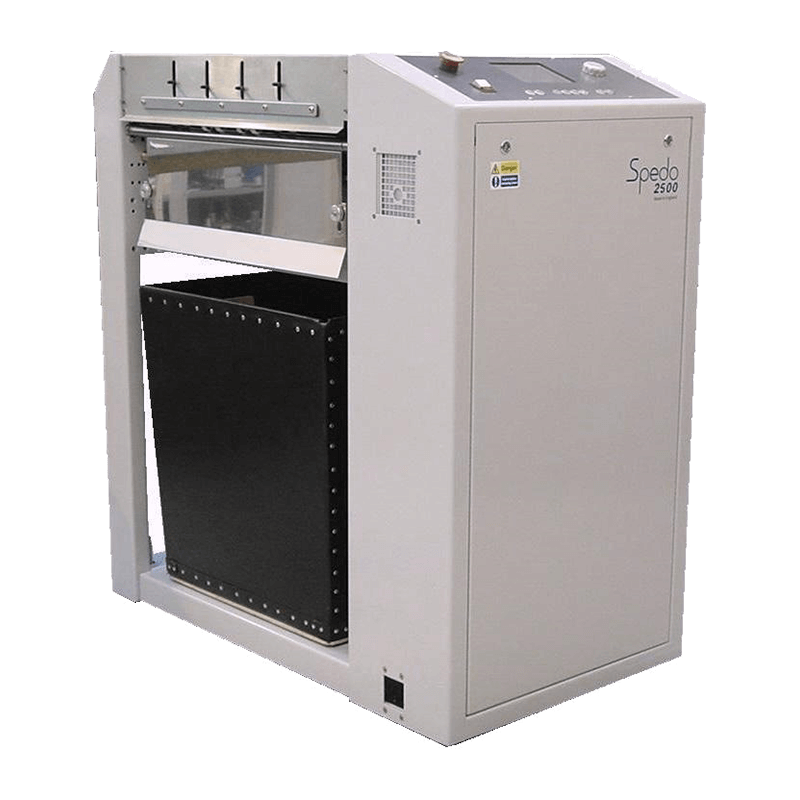 Using Spedo’s well proven control system and intuitive touch screen the SPEDO 2500 offers total control and flexibility while running both off and on-line. Store up to 30 different jobs from 64mm up to 4000mm, with or without strip cut, using various line increments. OMR recognition is fitted as standard which means viable batch sizes can be processed easily using marks issued by the printer. The SPEDO 2500 is available in single blade and double blade options to allow the operator to remove up to 7.8mm strip in one hit thus improving productivity. Almost unique in terms of cutting quality, performance and servicing ease, the Spedo 2600 pinless cutter has an established position in the Spedo range of mailroom and continuous printing systems.